Try these delicious healthy frozen treats that are a perfect afternoon snack or after dinner desert. These easy to make frozen organic yogurt bites melt in your mouth and are perfect for every age! 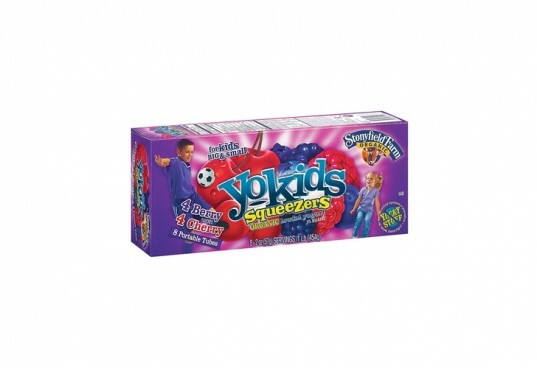 They only take 15-30 minutes to freeze and can be made with your favorite organic yogurt. These are also great for soothing a teething toddler's gums- though you might want to use a organic baby yogurt brand for less sugar. 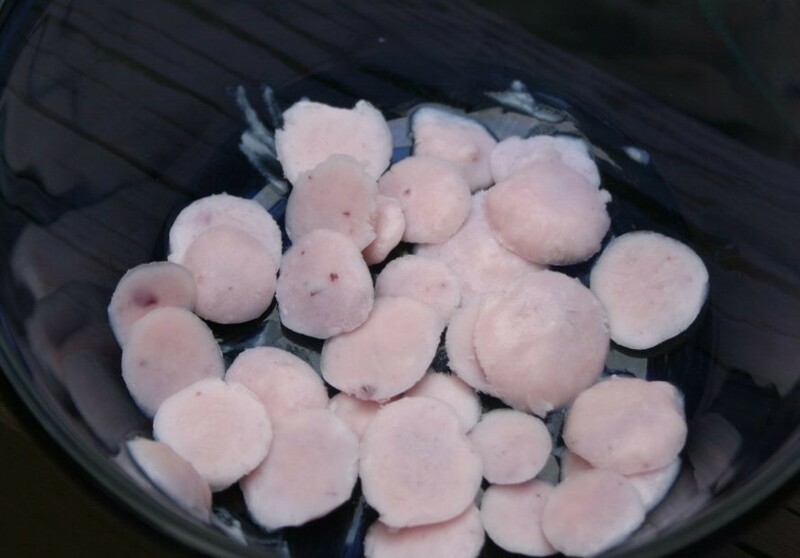 Keep reading to find out how to make these melt in your mouth Organic Frozen Yogurt Bites! I mixed blueberry and raspberry yogurt together in one bottle and then used the black cherry separately. 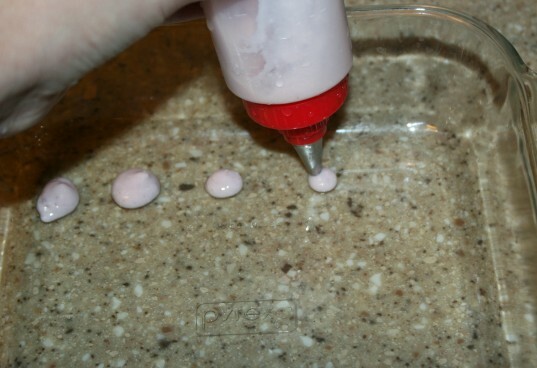 After you have your yogurt in your bag or bottle, make dots on your pan. 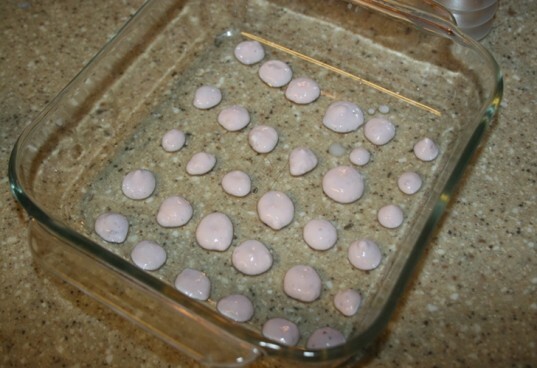 After you have your yogurt dots on your pan, place in the freezer for 15-30 minutes. If you are serving to a baby, only freeze them for 15 minutes so they will be softer. Do not freeze longer than 30 minutes. 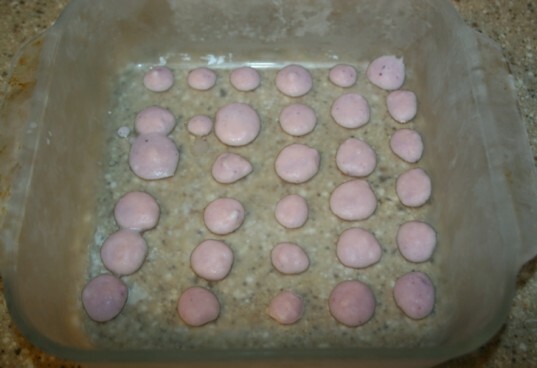 Take the yogurt bites out of the freezer and use a spatula to take them off the pan. Then place and a bowl and serve immediately. Don’t have an icing bag or icing bottle? Try these easy frozen yogurt tricks! Every child loves Stoneyfield’s Organic Yogurt Squeezers, so why not freeze them for a special treat? It only takes 30-60 minutes to freeze and you can keep them stored in the freezer. Blend fresh organic fruit with plain or vanilla yogurt and put in ice pop trays. Freeze and enjoy! Dip fresh organic strawberries or blueberries in organic greek yogurt and place in the freezer for 20 minutes. Perfect afternoon snack. Don't have an icing bag or icing bottle? Try these easy frozen yogurt tricks! 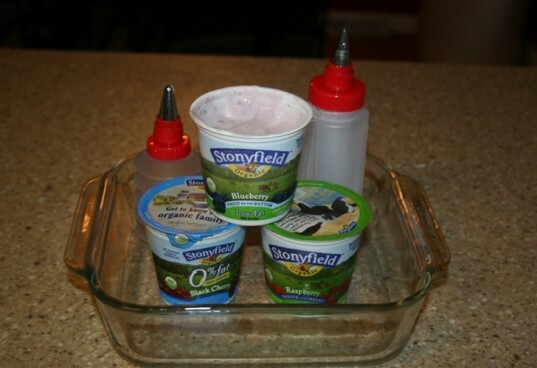 Every child loves Stoneyfield's Organic Yogurt Squeezers, so why not freeze them for a special treat? It only takes 30-60 minutes to freeze and you can keep them stored in the freezer. Blend fresh organic fruit with plain or vanilla yogurt and put in ice pop trays. Freeze and enjoy! Dip fresh organic strawberries or blueberries in organic greek yogurt and place in the freezer for 20 minutes. Perfect afternoon snack.